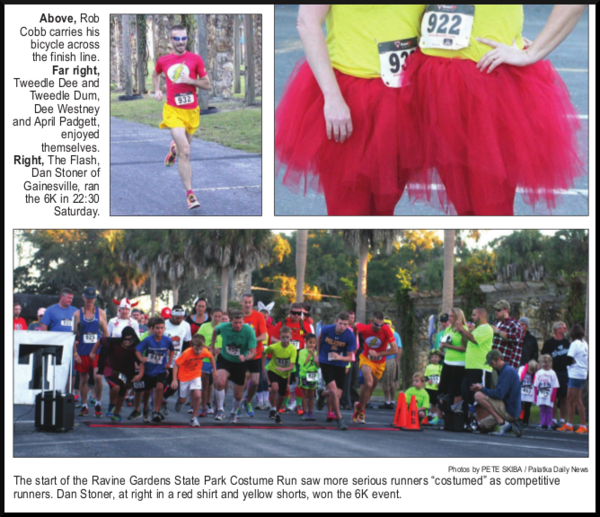 Last weekend I ran the Friends of Ravine Gardens Costume Run 6k in Palatka, Florida. 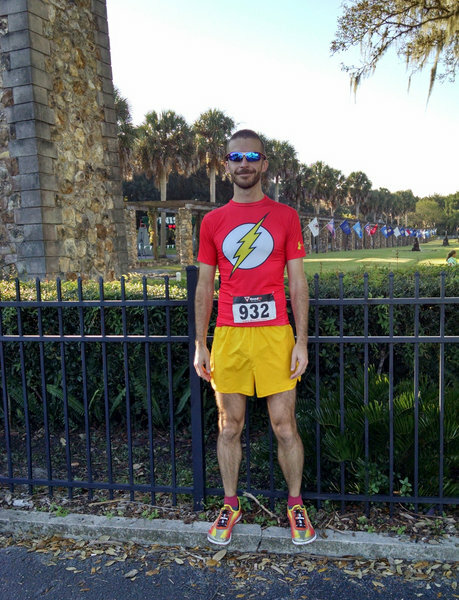 That was the first time I had been through the park and the venue is just beautiful for a race. The course follows the driving tour road around the ravine. Definitely some hills here! 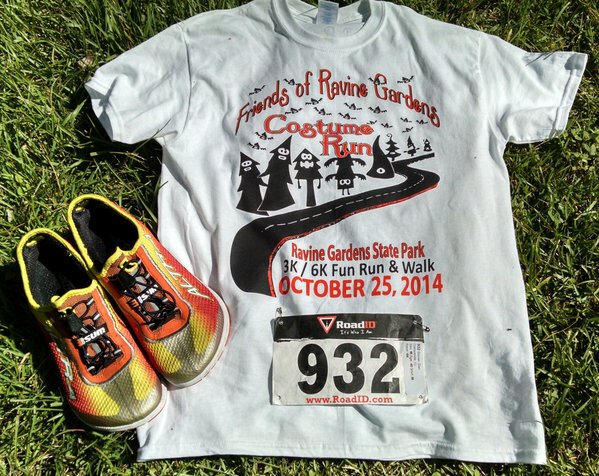 The course was decorated for Halloween with lots of movie characters and other interesting things to see. 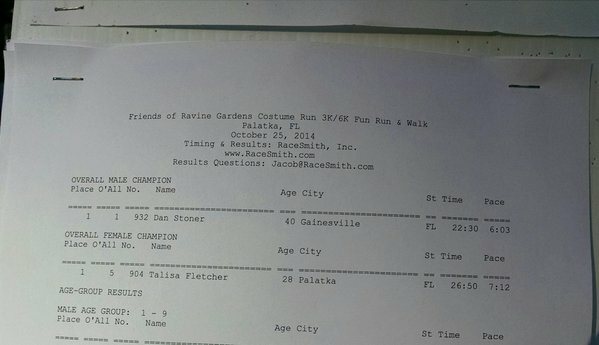 I won the 6k with a time of 22:30 (6:03 per mile). 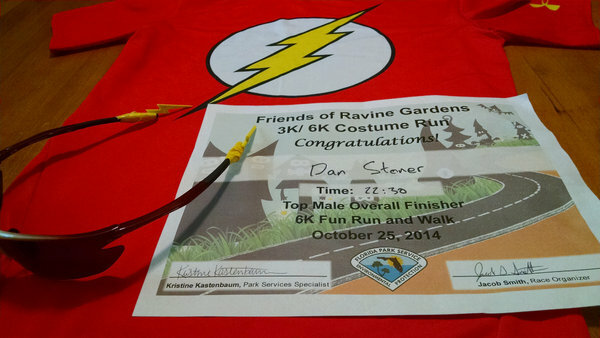 The 3k race did one lap through the park, the 6k did two laps. I loved the kids yelling "Here comes The Flash!" 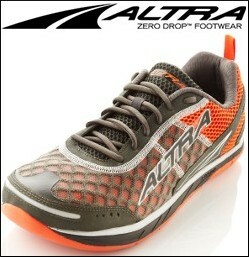 and "He's so Fast! ".